You see, every military asset needs to successfully fight, even if network-centric capabilities are lost. Just because your Corvette is armed with 700km range Onyxs missiles you think it will suddenly become useless if the Sigma network is down? Long range missiles can still be fired at horizon targets, the thing is that when the network is back up and running they can also contribute to attacks on targets much further away. Taking out a network is not actually that easy... jammers need to be close to the things they are jamming... a good solution to an aircraft based jammer would be an S-400 missile... the jammer aircraft is emitting a signal that can be used to determine its location passively over enormous distances... which means it is just asking to be shot down. That is assuming the datalinks can be jammed. There's a high probability, that those datalinks you are talking about could be lost in a war by jamming, cyberattack, destruction of relay station, many things. At its core Sigma is a battle management system that takes data from the vessel itself and combines it with data from other nearby platforms and their sensors. To take out the system you would have to destroy all the vessels in the group... which would be rather easier to say than to actually do. Jamming simply wouldn't be good enough as real time data is not required, so if an enemy aircraft started jamming one of the naval group could engage with SAMs... to be effective it would have to be close to the platforms it is trying to jam. Once defeated communication can recommence and the data updated... that is assuming it can actually jam the system in the first place. That's why we won't see Yak-130s armed with R-37 ever. We wont see Yak-130s armed with R-37, that was just an example to give you an idea of what I meant. What might happen is that by 2020 a few Mig-31s flying high could be cooperating with Su-35s and PAK FAs and Mig-35s all of which might be armed with R-37Ms or newer missiles with even longer range. During testing of the R-37 a Mig-31M launched the missile but used an Su-30M flying closer to the target to pass back target data... and one of the functions of the A-100 AWACS aircraft is reportedly to take over guidance of missiles like R-37M and S-300V4 and S-400 for the terminal phase so the launch platforms can focus on other things. Even Oscar SSBNs weren't supposed to rely on Tu-142s and RORSATs only, and if needed, would be targetting those Granits by sonar, at reduced range, of course. That is quite correct... the advantage of using long range weapons is that they can also be used over shorter ranges... the same cannot be said about shorter ranged weapons being able to be used over longer ranges when needed. I don't follow... you were the one suggesting the smaller vessels have shorter ranged weapons... if you have all long range weapons on all your vessels then you should always get the first shot against a similar or smaller vessel armed with shorter ranged weapons..
No he wants bigger and longer range weapons on larger ships. But its a waste to have a few really big missiles on a ship, better to use Tu-160 to deliver these, they should always be able to get in range and can quickly reload. I still think 80 Oniks are better then 20 Granits. Or on a frigate 16 Oniks vs maybe 4-6 Granits. In case of Slavas, they carry 16 Bazalt. In a modified version they could probable host 4-6 UKSK, 32-48 Oniks or mix with Kalibr or klub. Biggest advantage is the mix however, instead of just antiship, you can get land attack, long range asw capability, at your choise. With missiles of very diffenrent sizes you cant use UKSK. OK, I apologize to both of you, if you found my posts inappropriate. I had actually been expecting them to be humorous, rather than insulting. Anyway, that won't happen again. Thank you for apologising... a mature and sensible response. Moderating is a balancing act... we want to stop things before they start rather than be the ambulance at the bottom of the cliff and sometimes that means we look like we are over reacting to what appears to be a bit of fun. Even with careful selection of emoticons a joke can be mistaken for an insult and in this case I apologise... if the comment was meant in jest then I over reacted.. Sorry... no hard feelings. No he wants bigger and longer range weapons on larger ships. If that is successful then each of the twin mounts for Vulkan on the Slava class vessels could be replaced with a full sized UKSK launcher... which means 8 UKSK launchers for up to 64 missiles. Not 80, but not bad either. And the advantage of a standard is that the new Zirconium and Brahmos II should be compatible so you get a unique situation in the history of Russia naval weapons where a new weapon is about to be introduced and all the new and upgraded vessels in the fleet are ready to carry and use it. Previously new weapons had their own electronics and their own sensors and their own dedicated launchers and only entered service as quickly as the new class of ships designed to carry them could be produced. By 2020 when they enter service there should be dozens of ships able to carry the new hypersonic missiles. Wow, 12 VLS on a small missile boat, thats impressive! Wonder if its a one off or its to be fit on Molniya and Nanuchka class boats. And if its succesful, the rearming the slavas shouldnt take long, important as no new cruisers are being built anytime soon. They are badly needed as tensions rise in yellow sea.. China recently declared no fly zone around disputed Japanese islands, and Vietnam is right now taking delivery of the first Kilo subs. maybe another type of laucher could be made ,i dont think 1 granit takes that much more space for full 4 uksk spots to be occupied. i think instead od 80 onyx you could place 30 granits for sure... or even better 15 granits /40 onyx combination. 12 vertical!!! granits on kuznetsov didnt take much space. Rpg type 7v wrote: maybe another type of laucher could be made ,i dont think 1 granit takes that much more space for full 4 uksk spots to be occupied. Well with Kaibr 3M14 and 3M54 in a volley, 450kg warhead 0.8 mach- 200kg warhead 2.9 mach, they will solve the same situation with the same range as Granit. Granit is old and will soon be the end of lifetime, also no new such big missiles is developed. Also i maintain more missiles in a volley is better then fewer, although warhead size per missile is smaller. Say they develop new Granit with 5000km range and 1 ton warhead, they would from a task force only be able to fire from cruisers as they would be huge, and perhaps then only a volley of 10-20, a small number which is relatively easy to shoot down. In case of Kuzie, I think the best option for Granit replacement there would be not SSM, but rather, a strong, long range SAM battery like 9M96s. Anyway, would you guys think upgrading those old ships with state-of-the-art weapons is really a good idea? One of the biggest problems of the Soviet Navy was that every ship was very custom designed for a specific role... that means if you needed 10 anti sub destroyers then that was the Udaloy class, if you wanted 10 anti ship destroyers then that was the Sovremmeny class, but if you had two Udaloys then you had two anti sub ships with very limited anti surface capability. Upgrading the new destroyers with 4 UKSK systems means 32 missiles, so your vessel can have anti ship missiles and anti sub missiles and still have room left for land attack missiles making the newer or upgraded vessels far more flexible and capable than the previous models. Upgrading older models takes the pressure off the shipbuilding industry to build lots of brand new state of the art ships right now. they can upgrade their tooling and methods and make sure the new vessels are really worth it because they wont be able to afford a huge navy in the future, but it will be very powerful. Granit and Vulkan were excellent missiles, but they used turbojet engines and quite a bit of fuel to fly the speed they flew at the distance they flew. The Onyx is smaller and lighter because it uses a ramjet and is rather more efficient and simpler and cheaper, yet offering similar range with a lighter payload but accuracy and penetration performance should be significantly increased with titanium armour around the warhead. More importantly the future Zircon missile will be even better than any previous Russian anti ship missile as its scramjet motor will allow much higher flight speed. there was a picture of hypersonic brahmos2 on some expo ,and it desnt look anything like brahmox/onyx, its more square in shape, it has more height then width ,so it might take 2 uksk places. Rpg type 7v wrote: there was a picture of hypersonic brahmos2 on some expo ,and it desnt look anything like brahmox/onyx, its more square in shape, it has more height then width ,so it might take 2 uksk places. Yes. Actually, considering that new generation missiles would be new technology, and therefore, heavier and more complex, I'm inclined to believe, that at least in Russia's case, the new ASuW missile (hypersonic one) would be more similar to granit and kh-22, than onix, size-wise. "One of the biggest problems of the Soviet Navy was that every ship was very custom designed for a specific role... that means if you needed 10 anti sub destroyers then that was the Udaloy class, if you wanted 10 anti ship destroyers then that was the Sovremmeny class, but if you had two Udaloys then you had two anti sub ships with very limited anti surface capability. they can upgrade their tooling and methods and make sure the new vessels are really worth it because they wont be able to afford a huge navy in the future, but it will be very powerful." I think, that every warship in the world now, from corvettes to destroyers, are being created with multipurpose missions in mind. 1. Upgrading current ships with vertical UKSKs is all but impossible. If we are talking about inclined external launchers, then yes, they could be fitted, but then would have a reduced firing arc, plus, I'm not sure if misssiles stationed that way could be cold-launched. 2.Upgrading weapons isn't everything, image is everything (oops, I mean sensors ). That is, upgraded weapons are nice, but really offer little improvement, if sensors guiding them are the same (that isn't really important for onixes, kalibrs, but it is for, let's say, anti-submarine klub rockets). And we know very well that sensor equipment is so expensive, that only relatively new vessels could be fitted with them at all, and, for older ones, it may just not be worth it. I have seen those pictures too, but the UKSK design was well known to the makers before they started making the new next generation missiles so I would expect they would make them compatible. The current ships being upgraded include Kirov class and kuznetsov class vessels in which case the vertical inclined launchers can be replaced with vertical launchers. In the case of Slava class and other classes like Udaloy and Sovremmeny... the missiles they fired were launched inclined and AFAIK the missiles that replace them can also be fired that way. The original vessels had hot launch inclined launchers so there is no reason why the new missiles could not be hot launch too if needed. the upgraded vessels with angled launchers already had missiles with restricted firing arcs so it makes little difference... the missile the inclined launcher would impact most would be the anti submarine ballistic torpedo weapon and the missile uses inertial guidance to shape its trajectory so there should be no problems there. 2.Upgrading weapons isn't everything, image is everything (oops, I mean sensors Smile ). That is, upgraded weapons are nice, but really offer little improvement, if sensors guiding them are the same (that isn't really important for onixes, kalibrs, but it is for, let's say, anti-submarine klub rockets). And we know very well that sensor equipment is so expensive, that only relatively new vessels could be fitted with them at all, and, for older ones, it may just not be worth it. It is not just a weapon upgrade... it is a total systems upgrade including new sensors and systems and Sigma battle management equipment. For the Sovremmeny for example, the SA-N-7 single arm launcher will be replaced by the Shtil-1 vertical launch system with longer range, 32 instead of 24 missiles per launcher with all of them ready to fire. The 8 Moskit anti ship missiles with a range of 120km will likely be replaced with two 8 tube UKSK launchers allowing up to 16 500-700km range Onyx missiles to be carried instead, or indeed 16 land attack missiles with a range of 2,500km, or several other types of anti ship missile. Not only are the missiles better and longer ranged it is very likely it will be much better able to defend itself by being able to engage rather more targets at one time and its communications system will be rather better so it will be able to cooperate with other Russian naval assets rather better. For some vessels an upgrade would not be worth it... I certainly agree, but the Slava class, Kuznetsov class, Kirov class, Sovremmeny class (some) Udaloy class (some), and upgrade Krivak class (ie Talwar) would all be worthy of keeping for the time being till better designs can be produced. The Sovremmeny class is not worth upgrading as they seldom are at sea for the bad engine system, but some Udaloy destroyers and of course the larger ships. I would also expect future missiles like brahmos2 to be compatible with UKSK. The Sovremmeny class is not worth upgrading as they seldom are at sea for the bad engine system, but some Udaloy destroyers and of course the larger ships. Some Sovs had problems with their engines... the ones they sold to China seem to be OK and I suspect a few they have in service are fine too... probably just one or two bad eggs. The don't need to keep a huge number of vessels, they don't need to upgrade the whole Soviet Navy, but a few large ships here and there would be useful till newer ships come into service to replace them. I would also expect future missiles like brahmos2 to be compatible with UKSK. It would be pretty stupid to create a new standard launcher and then not make new missiles compatible with that launcher. On the contrary it is genius to create a new standard launcher for every vessel in the Russian Navy because that means when the next super weapon is created they don't have to wait till a few ships can be put into service to carry it... it should be able to be carried by most of the ships in the fleet already (after testing of course). Now imagine supersonic granits that can reach 1000km in 15 minutes instead of flight time of hours. And pure turbojet like in granit ,is more efficient at mach 3 then ramjet and is small because it has no bypass air. Those kalibr times 1-2 hours are good only for stationary high value land targets. No wonder americans withdrew tomahawks from anti ship role. Rpg type 7v wrote: Now imagine supersonic granits that can reach 1000km in 15 minutes instead of flight time of hours. Thats not the reason. If it was, USA would withdrew Harpoon too and besides new USA antiship missile (LRASM) is again subsonic but with less range than Tomahawk. due to its longer range yet USN decided to keep the Harpoon and retire antiship Tomahawk. The main problem is it has to fly high to fly fast so they get to see it from further out and SAMs work better against high flying targets than sea skimmers. Totally the opposite... a pure turbojet like the Mig-25 or Mig-31 have trouble with engine overspeed at speeds faster than about mach 2.83. The revs go up out of control... and just like rubber tires on a car as it accelerates faster and faster when it gets to speeds above 250km/h and faster the rubber starts to fail and shred because of the sheer rotational speed of the tire. In a turbojet engine it is the turbine blades that get bent and soften at very high rotational speeds (ie when flying really really fast). In comparison the engines in the SR-71 are designed to allow more an more air around the engine... bypass air, which has fuel added which generates ramjet thrust... ramjets have few moving parts and no turbine blades spinning on a shaft so the SR-71 can cruise at Mach 3.5 without any problems. The ramjet of the Onyx is more compact, lighter and much more efficient than the turbojet engine of the Granit. The new missiles... Zirconium and Brahmos II use scramjets which allow even higher speed flight. True, but also unsuspecting targets... and near choke points you can anticipate which way the ship targets would have to take as well. A numbers game... they had rather more platforms that could carry Harpoon than Tomahawk so it made sense to go with the numbers missile. Besides they have carriers with aircraft able to carry more Harpoons than Tomahawks too. Due my lack of interest in navy so far and the interesst of more conventional weaponary i need to know what kind of ASM is designed to have a high kill probability against specific vessels tonnage. For Example KH-25MT/MTP can be used against ships with 90+ kg HE warhead how sufficient is this rather small amount of explosive to destroy a specific vessel and how big would that vessel be max. to be considered destroyed or inoperational after a hit? Such a small missile would be effective against small vessels only. A hit to the bridge or engine room or indeed an ammo magazine could be effective on a larger vessel, but for the most part most dedicated anti ship missiles have warheads twice this size or bigger (ie the kh-31 has a similar warhead but Kh-35 has a 145kg warhead). A delay fuse will make the warhead rather more effective as an explosion inside a ship is far more effective than one outside the ship. With precise targeting such a small missile could be effective at disabling the steering gear of even very large vessels. It would be a useful weapon for use against pirate ships where the goal is to stop the vessel rather than obliterate it. ATAKA missiles with a tiny 5kg warhead are used for similar missions against light fishing boats. The British Sea Skua was considered a surprising success during the Falklands war as it was light enough to be carried by helicopter in reasonable numbers and it had only a 50kg warhead. In conclusion... would be effective against very light ships, would be able to be carried by most Russian naval helicopters in greater numbers than larger heavier dedicated anti ship missiles like Kh-31 and Kh-35. For Anti-ship missile duty the KH-35E was reported to be introduced to the Ka-52K shipbased versions use, the wardhead is 145 kg, some versions of KH-25MT have TV guidance and i think there are also delayed impact fuzes for this missile, too. For the entire ASM capability only KH-25ML/MPU and KH-35E have so far been stated to be used on Ka-52. 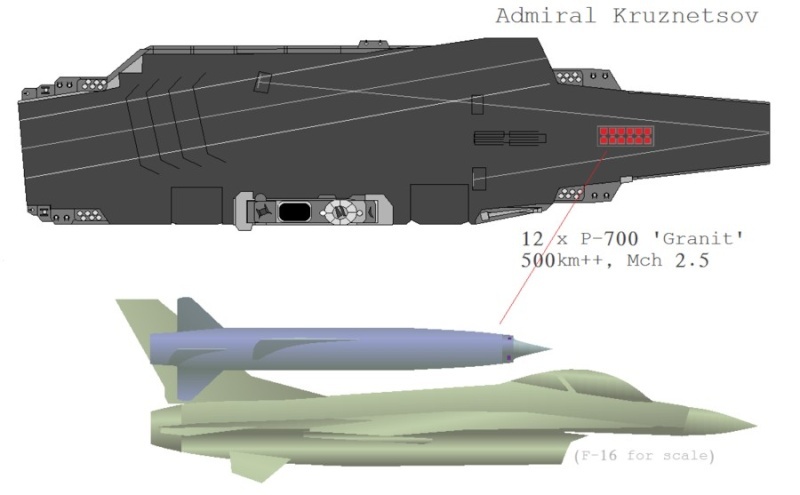 The homepage of kvrt.ru states the X-29E with a warhead of 320 kg can be used against vessels with 10.000t displacement so a 145 kg warhead would be enough to destroy only 5000t displacement ship, about that figure? Just let's assume the 145kg would be sufficient enough for ca. 5000t displacement vessels even though the most small vessels to the biggest which would be still in the figure would be LST's are around 200-1500t and for LST's 4200t++ displacement. So it's a rather bright spectrum of small vessels it is considered to be effective against. Other ASM's which are in the figures of size and weight same as KH-25 and Kh-35 would be KH-31 and Kh-38 which could be both used on helicopters, while Kh-38 was already reported to be used with Ka-27's. Most ASM's use active radar guidance and are not controllable, let's say a TV guided missile with a smaller warhead of 140 kg could be still effective against large ships when it is aimed by the operator in one of 3 vital points making it mobility, command bridge or just the primary weapons as the target. This option sounds rather unlikely but would still have a higher effect than same missile with radar guidance against same ship. The other question would be the current russian ASM's are for the most part between 300 and 450 kg warheads with some older and exceptional weapons like R-700 Granit with 750 kg warhead. I think i am not completley wrong when i say that Kalibr,Yakhont,Moskit were suppossed to be used against every naval target above sea, right? I mean even the Nimitz Class with its 100.000+ t displacement would be main target of this ASM's and would be sufficient to destroy it if intented to be used as against every target? Werewolf wrote: For Anti-ship missile duty the KH-35E was reported to be introduced to the Ka-52K shipbased versions use, the wardhead is 145 kg, some versions of KH-25MT have TV guidance and i think there are also delayed impact fuzes for this missile, too. Against the Nimitz class a nuclear payload will probably be used and that will definately destroy any ship. Most probably they will use a nuclear warhead since it was actually designed against navy formations of several ships with a payload of 100+ kt nuclear warhead, but i was asking about normal HE penetration warheads if Moskit for example is intented to be used against such vessels as the Nimitz class or is 300- 450 kg warhead payloads not considered sufficient enough for such big vessels? You have to keep in mind that there are anti ship missiles and there are anti ship missiles. Older large Soviet missiles were often intended to destroy a ship... ie sink it. Smaller lighter western missiles were often designed for mission kills so the target could no longer perform its mission. That way you get Russian missiles with 750kg warheads... which needs a huge missile to deliver, and tiny western missiles. Often when a kill was needed more than one smaller missile would be used. The Moskit was specifically designed to take out AEGIS class cruisers by flying below their Standard SAM missile defences (ie below 7m) and fast enough to render their last line of defence (Phalanx) useless through high speed. the reality is that against a military ship or a civilian ship the real danger is fire... as shown in the Falklands conflict it was fires started by the missile impact and fuelled by the remaining fuel and warheads that destroyed the ships that sank. In terms of anti ship weapons the Kh-25 family would be ideal as an anti ship weapon... even including the anti radiation models which could be fired after the TV or IIR guided models to defeat any air defence systems that are turned on. BTW TV and IR models of Kh-25 were developed but they were not cheap so the Soviet and Russian military did not buy them. The domestic model of the Kh-38 will have a 250kg payload and a range of 80km with a variety of guidance options which should make it quite a deadly anti ship missile. the Kh-31 and Kh-35 are also ideal weapons. 520 kg in total weight and 40km distance the perfect ASM for helicopters and the payload is rather high could also be used against big ships unlike KH-25, with a promising result. I thank you all for this information and i've another question about the jamming resistance of such missiles, one of the important things after the bandwidth and frecuency modulation,frequency hopping is the fact how much power you can transfer to a jamming device which is by far greater than the power supply for the radar homing guidance systemes on such small missiles with what the jamming devices can get on ships. Where there any tests or any articles writing about that matter? With there tiny range compared to real ASMs any X-25 carrier would be destroyed by SM-2s long before it came in range. GarryB wrote: You have to keep in mind that there are anti ship missiles and there are anti ship missiles.